Can I Use The Periscope App With My PC or Mac? I’m a really big fan of the Periscope app, and would love to use it on my PC. Is there any way to “back door” it in order to get it to run on my computer? Periscope is an app that seemingly appeared out of nowhere, and in hardly any time has managed to become utterly ubiquitous, penetrating our technological consciousnesses much like Ello did Meet Ello: The Hip New Social Network You Need To Know About Meet Ello: The Hip New Social Network You Need To Know About It has been said that when a social network makes a small change, it cause a schism, sending users fleeing elsewhere. They're heading to ello.co. Read More last year. But unlike Ello Ello Just Had a Refresh, But Can It Be Saved? Ello Just Had a Refresh, But Can It Be Saved? For a brief moment, Ello was the hot digital property everybody wanted to be on. And then it all fizzled out. Now, if people mention Ello, it's to make the same tired joke. Read More , Periscope is owned by Twitter, meaning that it’s unlikely to fade away any time soon. Periscope joined Vine in Twitter’s growing collection of video-oriented applications, and already has a following of die-hard users. Even Hillary Clinton uses it. But what does it do? Simply put, it follows in the path of justin.tv, Twitch and ustream.tv by allowing you to live-stream your life. Presently, it’s only available for iOS and Android, with Windows users having to make do with a feature-crippled third-party version, called Telescope. There’s no sign of a Mac or PC port on the horizon either. But I was determined to see if there was any way to make it work on a bog-standard computer. I looked at three applications – Chrome ARC Welder, AndyRoid, and BlueStack App Player – all of which are available as a free download for both PC and Mac. Here’s what I found out. This article will be dealing with the Android version of Periscope, due to the relative lack of cross-platform iOS emulators. Firstly, I wanted to try installing Periscope using the Google-sanctioned way of running Android apps on PC, OS X and Chrome OS. This was with Chrome ARC Welder, which takes APKs, and transforms them into ChromeOS apps that can be opened from the Chrome App Launcher Google Tries Out The Chrome OS App Launcher On The Web, Here's How To Get It [Updates] Google Tries Out The Chrome OS App Launcher On The Web, Here's How To Get It [Updates] Every once in a while, Google shakes up our world and changes the most basic feature of all its services: the Google menu bar. An experimental new menu bar design replaces the current black navigation... Read More . First, you’re going to need to acquire a copy of the Periscope APK. Google doesn’t make this easy, but that’s fine. There are other ways to get your hands on them. In the past, we’ve discussed third-party app stores The 4 Best Google Play Alternatives for Downloading Android Apps The 4 Best Google Play Alternatives for Downloading Android Apps Don't want to use the Google Play Store? Or don't have access to it? Here are the best alternative app stores for Android. Read More , websites and Chrome plugins that do all the hard work for you. If you’re particularly lazy, you can search for the name of the app you’re looking for, with “APK” at the end. So, in this case, we’d be looking for “Periscope APK”. Treat these with extreme caution though. There’s no guarantee the operators of these sites haven’t tampered with the file you’re about to install, and filled it with Android malware Malware on Android: The 5 Types You Really Need to Know About Malware on Android: The 5 Types You Really Need to Know About Malware can affect mobile as well as desktop devices. But don't be afraid: a bit of knowledge and the right precautions can protect you from threats like ransomware and sextortion scams. Read More . Then you’re going to need to setup and install Chrome ARC Welder. First, it asks you to create a folder where it can store application files, and other assorted detritus. Then you select the APK you wish to use. ARC Welder can only run one Android app at a time. Then it asks you to configure how ARC Welder works. Nothing too stressful, mind you. It asks simple questions, like whether you want it to run in landscape or portrait mode, or whether you want it to emulate a phone or tablet. Then, it’s a matter of loading the application, and signing into your Twitter account. Disappointingly, ARC Welder didn’t quite make the mark, failing to run Periscope with any degree of success. The UI was rife with glitches, and was prone to hanging. Many features of the app failed to work, too. When I tried to launch a broadcast, for example, my webcam light flickered, but nothing happened. Streams also were choppy at best. One stream that caught my eye – somebody in Turkey singing karaoke – stuttered painfully for a few seconds, and then failed completely. It seems like ARC Welder isn’t the tool for this particular job. The next tool I tried was AndyRoid. Unlike ARC Welder, this emulates an Android tablet in its entirety, using a virtual machine. This has the benefit of coming with access to the Google Play store, meaning you don’t need to hunt down APKs yourself – you can just click ‘install’. AndyRoid weighs in at 600mb, and requires administration privileges to install. Once installed, you need to sign into your Google account as you normally would with a new Android tablet, and go through the normal setup procedures. Unfortunately, Periscope is only available for phones, and therefore was unavailable to download through normal channels. I had to instead resort to manually installing an APK (here’s how to manually download APKs How to Download an APK from Google Play to Bypass Restrictions How to Download an APK from Google Play to Bypass Restrictions Need to get your hands on the installable APK file for an app from Google Play? We got you covered. Read More direct from Google Play). Unfortunately, AndyRoid wasn’t terribly cooperative. Each attempt to manually install Periscope (all versions, from v1.0 onwards) were met with abject failure, throwing parse errors. No amount of Googling helped. It’s worth noting that AndyRoid offered perhaps the most frustrating user experience of any of the packages tested. Mouse control would sporadically – and frequently – stop working, requiring you to navigate using your keyboard. It would also lock up, requiring it to be “hard reset” by closing and reopening the application. Dismayed, I moved onto the last (and most promising) option – Bluestacks App Player. Bluestacks is one of the more interesting options on offer. Much like AndyRoid, it simulates an Android device in its entirety, giving the user near-total control over it. However, it’s differs by presenting in a way that glances over the traditional Android experience, instead offering an austere and highly simplified avenue to Google’s Play Store. Once you download the package (all 300mb of it), you have to sign in with your Google Play credentials. I encountered a few keyboard issues whilst using the built-in Macbook Pro keyboard, and had to resort to the Android virtual keyboard. It was frustrating typing in my email address and password with my mouse, but once I was finished, I had full access to the Play store, and most importantly Periscope. Finally, after all that work, I had a working installation of Periscope. So, how did it cope? Well, let’s start off with the good news. Although performance was certainly lacking, I was able to watch a stream or two. Some failed to load however, and when it did load, it was plagued with jitters and stuttering. But, of course, Periscope is more than just about watching livestreams. It’s about making them. Unfortunately, Bluestacks failed epically here, crashing abruptly to the Android home-screen whenever I tried to launch my own Periscope channel. Of all the options I looked at, only Bluestacks came close to running the Periscope app with any degree of success. Worse still, none of the apps were able to successfully create a Periscope livestream. However, it’s worth adding that there’s little to no advantage to watching Periscope on your PC via their app, compared to using their website. In almost every respect, the viewing experience is poorer, and more frustrating. 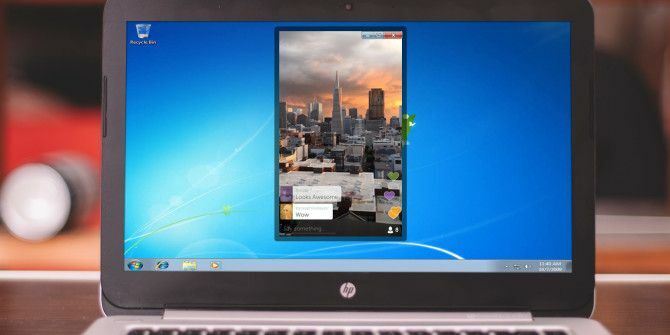 We reached out to Periscope to see whether they have any plans to release a native PC or Mac client. We’re yet to hear back from them, but when we do, we’ll update this post. Here’s How To Easily Fix Lagging AudioHow Do I Schedule MediaFire Backups on Windows? An app being used by Hillary Clinton makes it worse, not better. Please deport margaret borde back to the Russian Volunteer Slave Camp. I still wish this would work as I use periscope for sales and my 10 key on keyboard is so much fast than on my phone!! need to be quick for these kind of sales! Very useful post!! Installed Bluestacks on Windows10 and works so well. I'm extremely happy. Thanks for this! bluestacks never updates. they are aware periscope does not work and they don't care to fix it. all they want people to do it use it to play their forced downloadable games and pay a monthly fee to yearly fee to use bluestacks. All though this article is very interesting in regards to using Periscope on a PC. That is what got me to this page in the first place. After reading your very helpful article, I have to agree with what you said in regards to creating streams for exposure. So with that being said instead of trying to figure out how to use Periscope on a "Computer", All that are reading should be more concerned with spending time figuring out the fastest most effective way of promoting yourself as a freelancer, read more here... virtualsalesnetwork.com. P.S. My advice, wait for the developer to make the fixes and You (reader) do what you have to do to make a great app like Periscope. Heck for starters get back on your mobile and start Streaming your service! Happy trails!! I FINALLY found what I've been looking for! 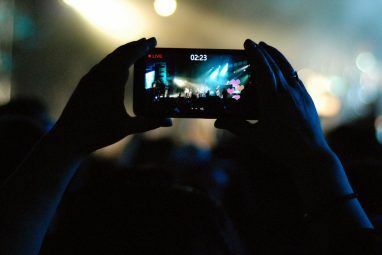 A way to browse LIVE Periscope streams on the web without using an app or third party service (which only displays select streams - you don't see them all). how do i find someone that broadcast the day before - any search function available? Broadcast to remain online for 24 hours. 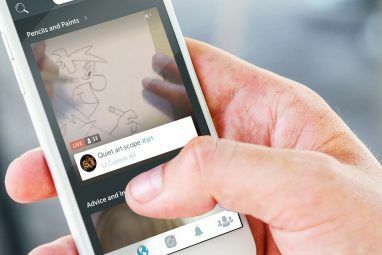 Is it possible to show Live Stream on my website http://www.perifollowers.com on which i offers Periscope Marketing Services.